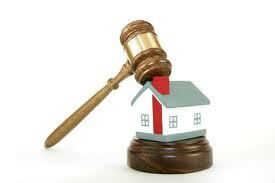 Going to a Foreclosure Auction? Bring a Secret Weapon! Once you’re registered for a foreclosure sale event like this, you may believe the only thing you need is a map to get there. What if I told you that a secret weapon was in order? This is not the time to pretend you know everything when you don’t. If you know of a general contractor, or have a friend that works as one, this is a great time to invite them to lunch! By bringing along a real estate professional like this, they can help you identify problem properties. Just because a location is being sold for a low price doesn’t mean it’s a great deal. It could have a ton of problems, some unseen, that are going to cost you way more than the property will earn in a sale. The expertise of the contractor allows them to spot problems much faster than an inexperienced real estate investor. If they will help you for the price of a free lunch, then you’re getting an even better bargain. Once you’ve seen the area where the foreclosures are located, take some time to research the neighboring property values. This will help you identify whether a property is really a good deal, compared to what the local houses are being sold for during regular transactions. If you have this in hand before you arrive, then you won’t throw your money away on a piece of real estate that is obviously overpriced. Instead, you’ll wait for the right deal within acceptable financial ranges before you place a bid. Yes, this might seem obvious, but your final secret weapon is cash. If you don’t have it in hand, you cannot buy the property that day—end of story. The only way around this is to bring more than you plan on spending. Then, if you see a couple of great deals, you can pounce on them quickly. Unfortunately, most people may not see that using their retirement or savings like this is a great way to earn a huge return. You, however, will understand that real estate returns money like no other form of investment and will arrive with cash in hand. Use these secret weapons at your next foreclosure auction and watch the profits start to accumulate in your pocket. If you don’t, then you may be at a loss in terms of identifying a true great deal or paying a real estate auction price that seems questionable.